Looks like such a simple, refreshing sweet dessert for summer! Is that Artisana coconut butter worth the price tag? 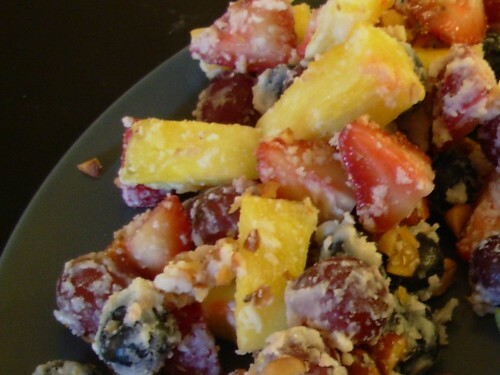 I am sooo tempted to splurge after seeing your yummy fruit salad, Elizabeth! How else do you use it? mmm, that sounds nice and rich! This looks delicious and I love finding more recipes to use coconut butter in! thanks!